Soon to be known as the "World's Greatest Organic Fertilizer!" 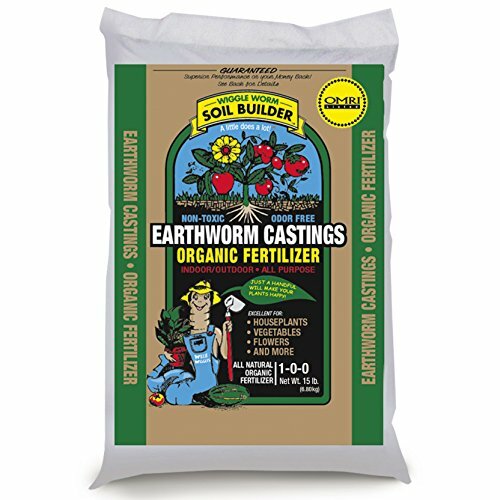 Wiggle Worm Soil Builder PURE earthworm castings are surely Mother Nature's best kept growing secret. You need only use a small amount in or around your houseplants, vegetables and flowers. The miracles of the earthworm are easily seen in the beautiful growth and yields of your plants. The nutrients in our earthworm castings are plentiful. Most importantly, these nutrients are perfectly balanced in two forms. One form can be immediately absorbed by the plant as if it were directly injected and the other is able to provide nutrition which slowly feeds the plant for long periods of time. This soil builder is very cost effective because small amounts provide incredible results and last a long time. If you have any questions about this product by Unco Industries, contact us by completing and submitting the form below. If you are looking for a specif part number, please include it with your message.